Around Atlanta – Be Fearless. Be Flagrant. 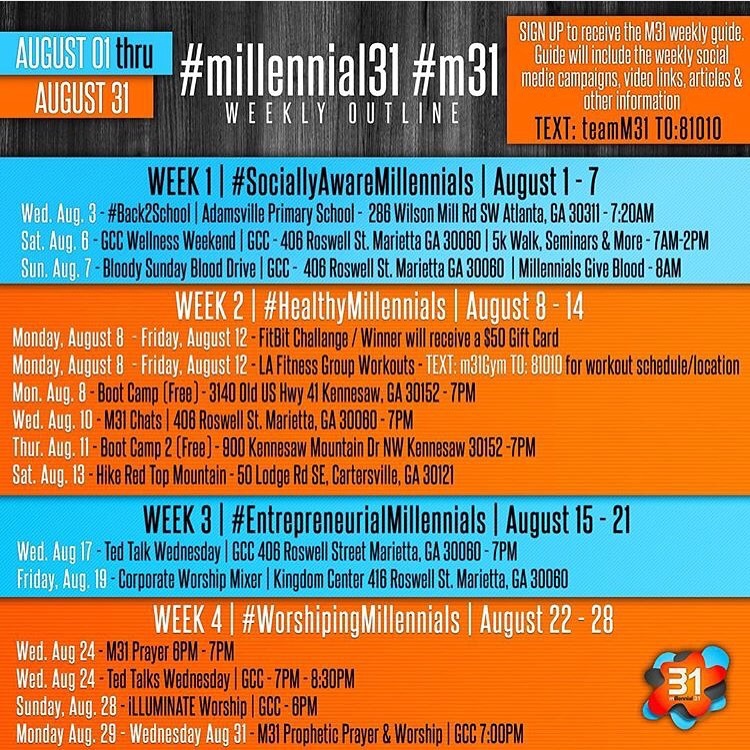 Join Pastor Matthew L. Brown and the Greater Community COGIC family the entire month of August for their Millennial 31 (M31) Conference which will offer a different millennial themed activity weekly!!! 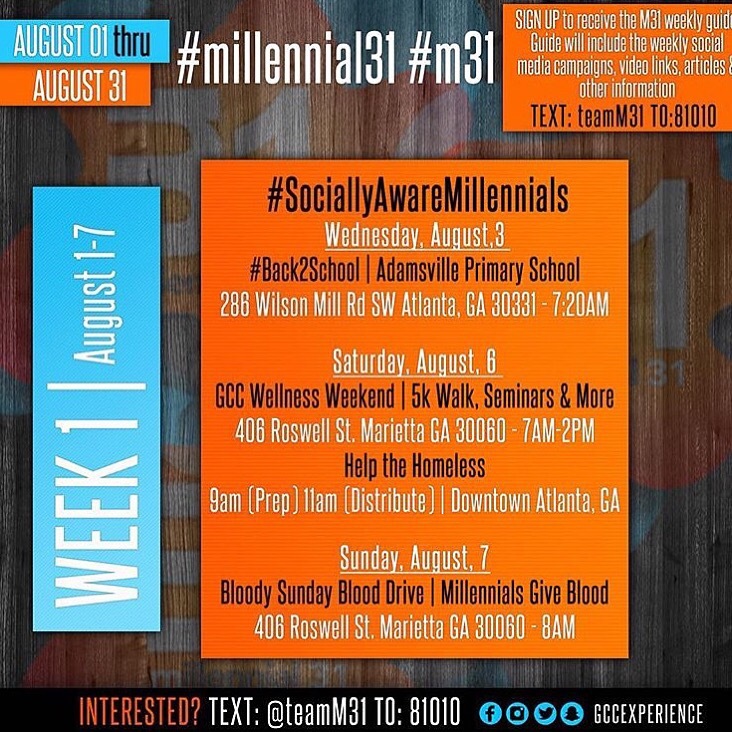 31 Days of Intentional Millennial Activities & Events, Health & Wellness & Worship with an itinerary with something for everyone! Be sure to follow them on Social Media for frequent updates and special announcements! 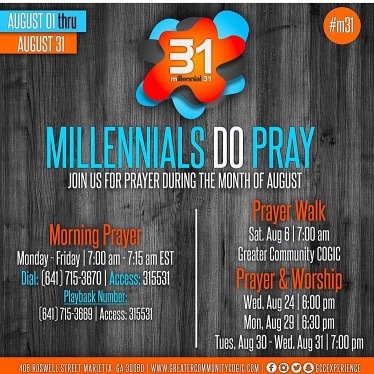 Aug 7th – Prayer Walk 7am! Blood drive 8am! 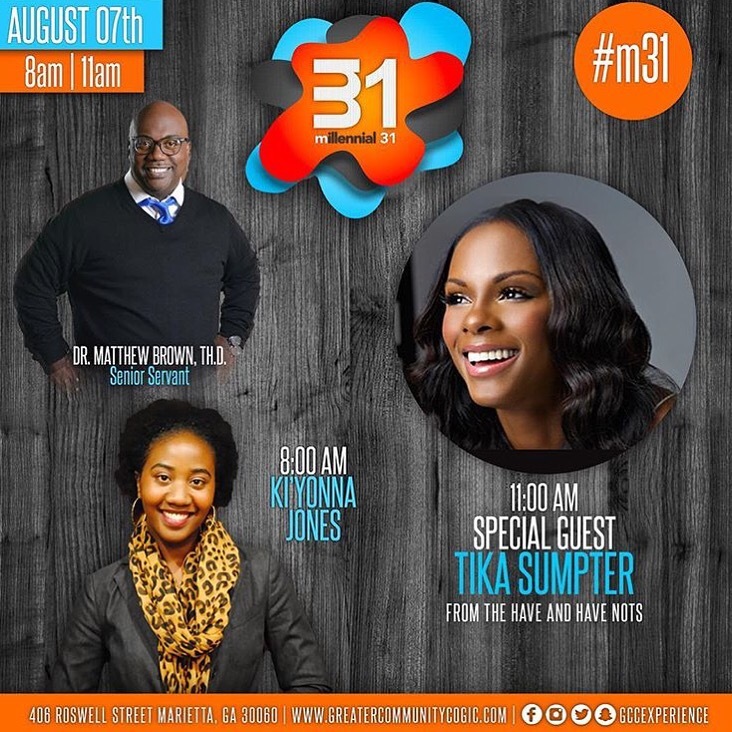 Speaker Ki’Yonna Jones 8am! With special guest Tika Sumpter at 11am! Sign up to receive updates by texting @teamm31 to 81010! As more information becomes available, it will be provided and updated here!